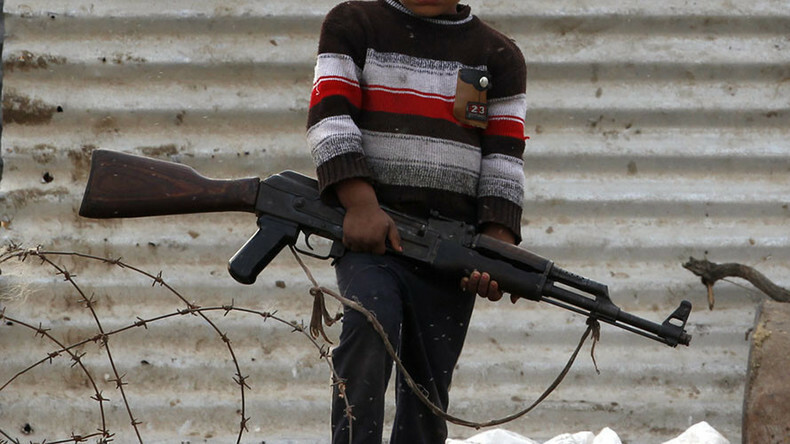 ISIS indoctrinated children: Western countries’ moral responsibility or danger to society? The rehabilitation of children indoctrinated by Islamic State should be a priority for the countries responsible for the rise of the group, says Paul Kawika Martin, political and communications director at Peace Action. It is a potential danger, argues conservative activist Lauren Southern. Despite Islamic State (IS, formerly ISIS/ISIL) losing its hold in Iraq and Syria, there is still huge concern over the legacy it is leaving behind. At the height of its power, IS raised an army of children, the so-called ‘Cubs of the Caliphate,’ who were taken to special training camps where they were given an education – not in literature and arithmetic, but in extremism and executions. RT spoke to Paul Kawika Martin, political & communications director at Peace Action, and Laura Southern, conservative activist and journalist, to discuss this issue. RT: Paul, so-called ISIS cubs have been filmed executing people, some of them say they admired ISIS executions videos. Surely they now pose a direct danger to society? 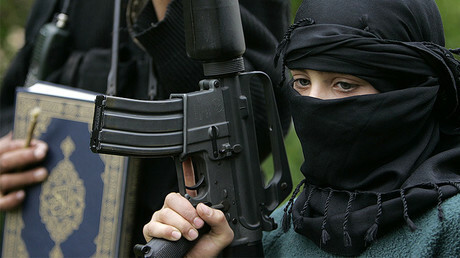 Are they the next-generation jihadists? Paul Kawika Martin: Certainly, some of them are dangerous, that is going to be up to professionals like psychologists to take that into account, to interview them and to see if they are going to be able to be rehabilitated. We have shown that child soldiers in other parts of the world can be rehabilitated if enough resources and time are spent on them. We owe it to these children; these children didn’t choose to be born in that place and didn’t choose to be indoctrinated by ISIS and here they are. So, it is up to us as a society and especially those countries that have caused ISIS in the first place to fund and make sure that one, society is safe, and two, we do what we can to rehabilitate these children. RT: Lauren, what do you think, do you agree? Some people say that they admired these ISIS execution videos… How dangerous they are to the society? 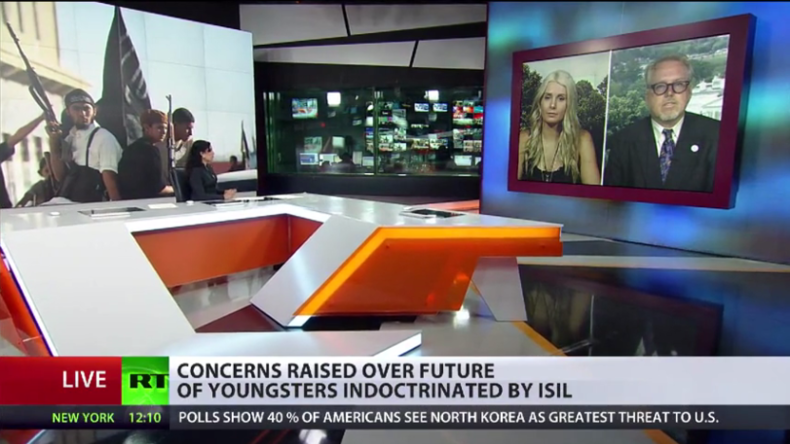 Lauren Southern: It is not just a matter of some of these kids admiring the videos. There are kids as young as nine and even younger that are participating in training camps with ISIS, even in beheadings, killings. It is insane. Some of these people are up for consideration to be brought back into countries like the Netherlands. And what comes down is the question: do we want to do something? Of course, we want to help these kids, who doesn’t? But what we can do and still keep the people in these countries safe that they are coming back to, like the Netherlands. And I know there, for instance, the Dutch intelligence is saying that these are being considered traveling jihadists, these children, they are indoctrinated and they only have around eight people monitoring Dutch jihadis and people who are considered radicalized, they can’t monitor them all the time. So, what about the kids in the Netherlands that want to remain safe? What a parent from the Netherlands want their child in a school with a kid who had committed an execution? Would they want them in a school with someone who had been radicalized? I don’t think so, it is a serious threat. RT: Paul, you mentioned the fact that with the right treatment, with a right amount of resources these children could possibly be rehabilitated. But Lauren has made a point about the resources issue. How can those local governments, if we look at the Netherlands for an example, cope with monitoring a large number of children who have possibly gone through the trauma and at that point in time agree with the execution videos? PKM: I don’t think it is a resource issue, it is a priority issue. The countries who supported the invasion in Iraq in the first place and which many historians think has actually caused ISIS to form, those countries are quite wealthy. Including the country I am in right now, the US, who just authorized nearly a trillion dollars to spend on the Pentagon. There is plenty of money to go around to help these children and we have a responsibility to do so. So, it is not a resources issue, it is a priority issue. Once we are able to get the funding and my understanding right now, we only have two percent of the funding to help about 600,000 children that were involved, let’s say in Mosul, there is a smaller percentage of those who are actually in those ISIS indoctrination camps. But there is money there, it is about priorities. And I do agree, you have to be careful, there are no simple solutions here, it takes professionals, it takes time to decide when children can be put back into the normal population but it can be done and we owe that responsibility to them. RT: Lauren, the Syrian and Iraqi governments don't seem to be able to cope with the problem, so surely, it falls on western countries to have amoral responsibility to step in? Why do you oppose that? LS: What about the moral responsibility to the people already living in their countries. We are having enough trouble helping the Syrians that have already come in, sorry, the migrants, the majority of the people coming in, especially to Europe, are migrants, not refugees. And they are having enough trouble dealing with these and integrating these citizens, terrorism is up all over Europe, you are already having enough trouble tracking the jihadists within European countries. And assimilation is a huge issue. Just in Canada, where I am form, within the schools, we have had a mass number of sexual assaults occurring with the young kids that are being integrated from Syria. We cannot deal with the integration happening now and it is not a matter of money. Many of these countries are in debt and they are not giving their money to their own citizens, their own poor, their own refugee camps that are already extremely overwhelmed. They are considering shutting down many of the pads on the Mediterranean where migrants are coming down or they have had them open for a long time because places like Italy can’t handle this anymore. There is such a large influx of people that they can’t handle it. And there are children that they are trying to help as well, how are we supposed to prioritize the thousands and thousands of children in Syria that could potentially kill and harm children in Europe with their radical ideas when we can’t even deal with the issues we have right now in Europe and the thousands of migrants and potential radicals there?